Should You Be Adding Brick To Your Home? Adding brick to your home has long lasting benefits. 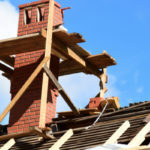 There are many reasons why bricks make a wonderful building material, hence why bricks are continually used around the world for construction purposes. By adding brick to your home you provide better insulation and improved energy efficiency. Brick is durable, and when properly installed can go years without needing maintenance. Plus, brickwork is even proven to increase the value of your home. 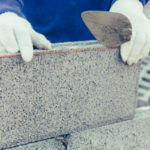 You can add bricks to the inside or outside of your property; here we provide 5 great ways to incorporate the classic beauty of bricks to your home. Industrial style is all the rage right now in home décor and by adding brick to indoor elements of your home you can achieve this high-end look. Clay bricks have been used in the construction of walls for years because they last a long time and are incredibly durable. 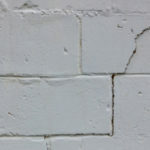 In older homes, you might get lucky and find gorgeous brick walls just hiding behind layers of drywall, although if you live in a newer home chances are you’ll have to install the brick yourself. 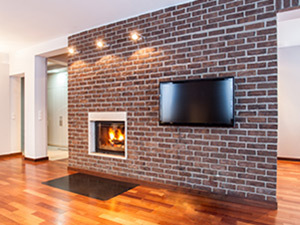 Not ready to put brick in the living room? Try adding a brick wall to a more discreet or petite location, such as in a spare bathroom behind a claw foot tub (See More). Retaining walls are often used to keep sloped ground stable and to avoid erosion, although a decorative brick retaining wall can do so much more for your house. A tall brick wall can provide good-looking privacy, great for blocking off your patio area if it’s located in an otherwise open space. A low sitting brick wall won’t grant much privacy, but it does make a nice place to sit and kick your feet up. Even if your house has no brick detailing, brick accents can still be incorporated. Build adjacent brick steps into shorter walls and decorate with plants and flowers for a look that serves gorgeous and functional (Read More). Adding a brick walkway to your landscaping will provide an aesthetically pleasing surprise, plus it will keep guests from stomping all over your grass! Your brick path can be long, short, winding or straight, so long as you use durable paving bricks. Paving bricks are baked at a much higher temperature than traditional bricks, meaning they are sturdier and better suited for walking on. 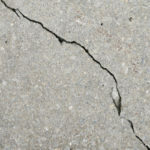 If you knock together two paver bricks you should hear a ringing sound, if you hear a thud you are dealing with softer bricks, too soft for your pathway. All brick paths should extend at least 3 to 4 feet wide to provide enough space for 2 people to walk side by side, otherwise paths can appear awkwardly small. If you want to expand your walkway into a patio, make sure to arrange your patio furniture how you plan to have it, measure, and then decide how large your brick patio should be. Otherwise, you run the risk of creating a patio that is too small for your original plans (More Information). A gated fence provides extra privacy and a good investment to your property. Add evenly distributed brick pillars that synch to your gate for a charm iron gates can’t provide alone. Bricks look beautiful with the rich green backdrop of foliage, so add large shrubs, trees, or bushes behind the backside of your fence, furthering your privacy while also accenting your brickwork. If you don’t have (or plan to install) a large gate around your property, you can still use bricks as an eye-catching entrance. Have a brick arched walkway crafted over a walking path, guiding guests towards your home with style.